The annual RIBAJ MacEwen Award recognises architecture with engineering and landscape for ‘the common good’ and a selection of the best built projects that are deemed to be of real and demonstrable benefit to society are showcased annually. This year Marklake Court, a Community-led project by Leathermarket CBS and facilitated by igloo Community Builders, was one of 13 shortlisted projects that have been whittled down from a long list of 36 national entries this year. 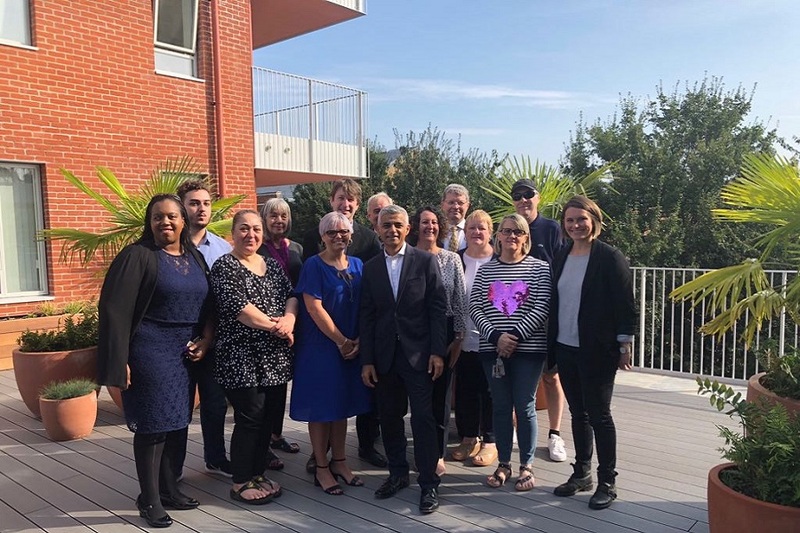 The judging panel includes Julia Barfield, director of Marks Barfield; Yuli Cadney-Toh, architect director of BDP Bristol; Anisha Jogani, Placemaking team leader of Croydon Council; Kathy MacEwen, town planner; and Hugh Pearman, editor of the RIBA Journal. As development manager, igloo Community Builders helped Leathermarket CBS form a vision and facilitated the transformation of the former garage site into high quality and genuinely affordable homes.